I have a bottle of ONR and thought I would finally make use of it. I have typically do full washes as I get nervous about the rinseless ones although I had pretty good experiences with Ammo's Frothe. I thought about making it into an instant detailer or some other use. I had an extra 35 ounce bottle which I could use. Any suggestions on what I might use it for or just hold onto it for that day when I don't have access to my full setup? I use half ounce concentrate to each gallon. I like to use a power washer to knock off all the gross stuff and wheels / wheel wells first, then move on to an ONR wash.
Screen shot I took with my phone awhile ago. 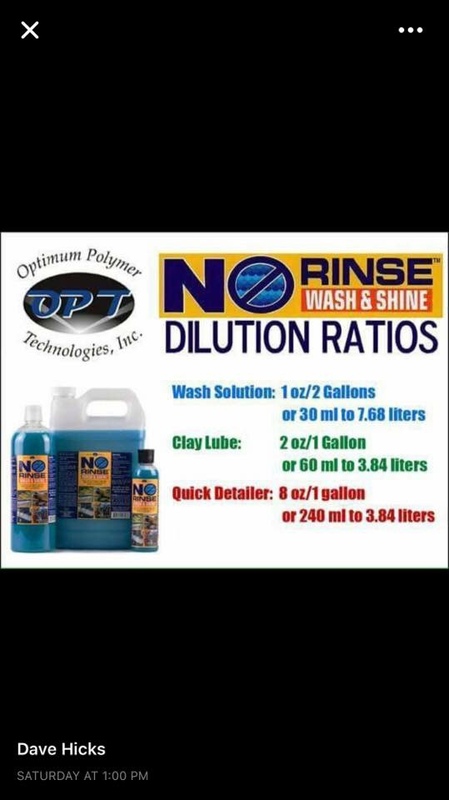 How many GSM to wash with Optimum No Rinse? My first Optimum No Rinse Wash! Optimum Car Wash Dilution Ratios for AG/Gilmore Foam Gun?